When people ask what I do, I generally answer with “I’m just a SAHM” which not only discounts the amount of work I put into motherhood and raising compassionate and kind humans but also the work I do as a blogger, freelancer and entrepreneur. Recently, I’ve found myself saying it more and more in general conversation or when meeting someone new. 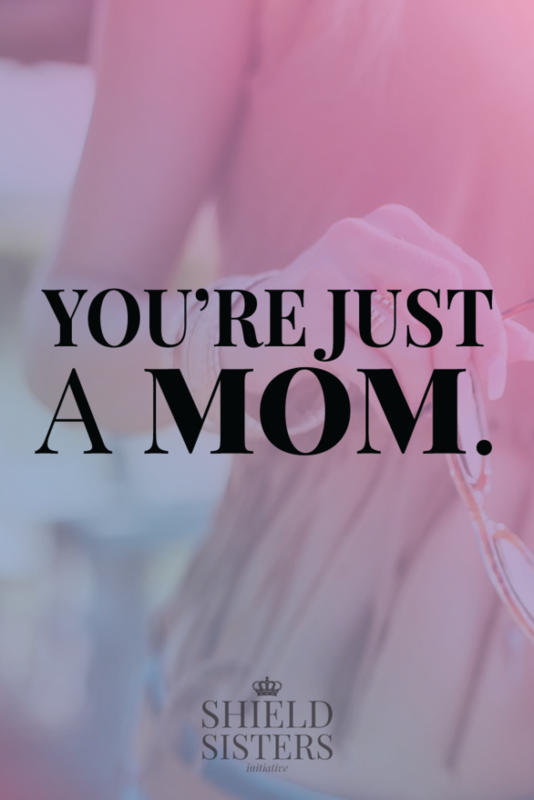 “I’m just a mom.” and “I just stay home all day playing with our girl.” are phrases that have left my lips more often than I want to admit as a feminist. But some days it is just so much easier than to explain the complicated life of a female entrepreneur work-at-home mom. I blame society for this. I blame society for making me feel like my work is not valid or valued. We, as a society, don’t base success off of passion but on how much money we make. Case and point, until your business starts making money, we usually call it a passion project. Why? Why do we discount our own value and worth? This one is so important I need you to stop what you’re doing and say it aloud with me. You are not. You might use the things you do in how you describe yourself, but they do not make up your being. You are multifaceted and you can not be cut down into one word, unless that one word is badass, but that’s besides the point. It’s cliche to say that actions speak louder than words, but it is also cliche to think that we are those actions. They are a part of us, of course, but we have thoughts, dreams, goals and soul. Your soul is so much more than what you do. Value it. You are not the money you make. Like I said above, society bases our success off of how much money we make. That’s how they figure out your tax bracket and approve you for credit cards, mortgages, car loans, business loans, etc. How many businesses have made hundreds of thousands of dollars only to go bankrupt? How many people have lost “everything” because of the economy? Too many for me to count, that’s for sure. I wouldn’t say those people who ran those companies are not successful. I wouldn’t say that they are defined by the money in their pockets. As a middle class citizen, it has quickly become apparent to me that money is not everything and if we are constantly chasing money we will not live life enriched. We will not live our true lives. We will never find true happiness. You are not the things people say. Some people have the bad habit of talking about others negatively, instead of supporting them. At some point we have all heard something negative or said something negative about another person. Unfortunately, it is easier to say something negative than to support others all of the time. Life is like a giant game of telephone with words being passed from person to person until people believe it is fact. Hell, you might even believe something someone said about you. Stop it, right now. Do not believe those words. They are not true. The words that people say about you are not who you are. Those words are a perception, and everyone’s perception is different. Yes, we want to cultivate positive words and testimonials, but it is literally impossible for positive things to be said about you constantly. Not even Mother Theresa and Gandhi had positive words said about them constantly. Know who you are in your soul. You are what is in your heart. You are what you love. It may not seem natural to listen to your body and your soul at first. It may seem against nature to do so much digging and emotional discovery. But it is natural and it is so good for you. When the words come out of your mouth discounting who you are, I want you to stop yourself. I want you to sit down with a journal and free write. Write any words that come to your mind. They do not have to be sentences, just make sure your pen or pencil does not leave the paper for 5 minutes, even if you’re just drawing loop-de-loops across the page. Get in touch with what is in your heart. Get in touch with what you love. Get in touch with who you are. Self-love is your strongest defense. If you ever wonder how XYZ entrepreneur or celebrity does it, it’s because they practice self-love and reflection. They don’t listen to the negatives that people say and they don’t let negative self-talk roll off their tongue. They know they are not just a __________. So if you want a full description of what I do, here it is: I’m a mom who runs a household of men, baby and dogs. I am a wife. I am the founder of the Be a Warrior Queen movement, a self-love coach and co-founder of a coaching club called Shield Sisters Initiative (this site, duh). I am a journalist by degree and freelance as a copywriter and virtual assistant. I am a board member for a non-profit organization called Project Lead Kindly. I am a friend and a daughter, helping in anyway I can. I am multifaceted and so much more than just a stay at home mom. You are multifaceted and so much more than just a ______. 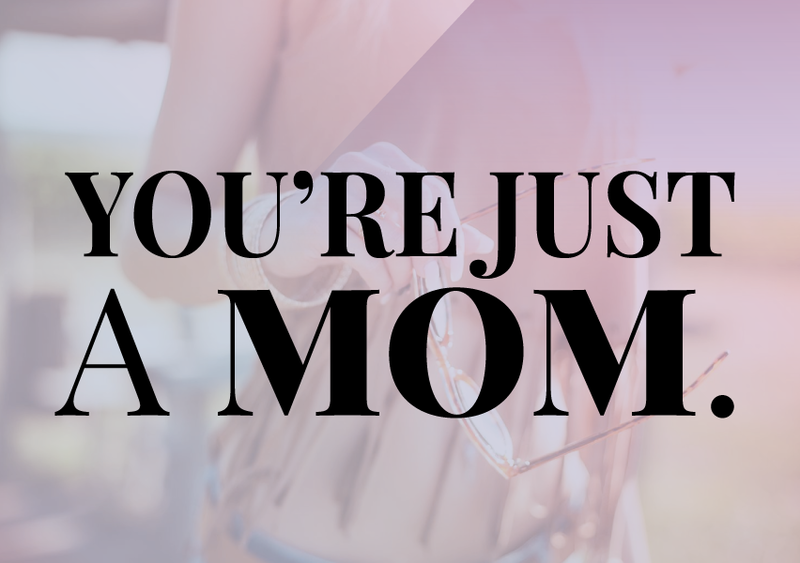 I love the message you’re sending with this post and I think we should all stop adding ‘just’ in front of what we do, especially if it involves parenting or working from home- or both. The truth is no one really knows what anyone else’s job involves so we shouldn’t judge anyone. Exactly!! That is 100% true, Julia!